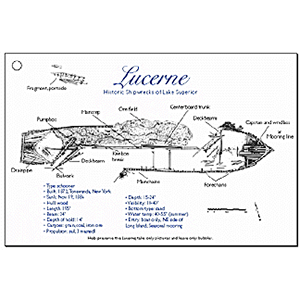 These waterproof dive guides feature site maps, schematics, diving information, ship data and histories for seven of Wisconsin’s Lake Superior shipwrecks: H.D.Coffinberry, Fedora, Lucerne, Noquebay, Ottawa, Pretoria and Sevona. In addition three new historic sites have been added to the set: Stockton Island Brownstone Quarry Dock, Hermit Island Brownstone Quarry Dock and Basswood Island Brownstone Quarry Dock. 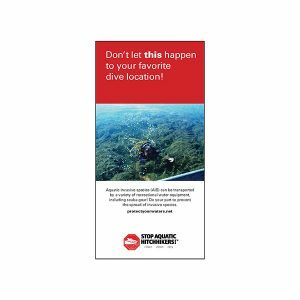 The result of hundreds of hours of archaeological and historical research conducted by the Wisconsin Historical Society, these rugged, waterproof guides are designed to go with you on your dives or be read in the comfort of your home. 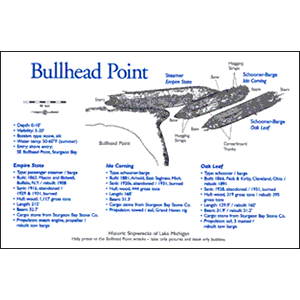 View shipwreck maps and learn more about Wisconsin’s shipwrecks at Wisconsin’s Shipwrecks. Wisconsin residents can check out shipwrecks books from Wisconsin’s Water Library Great Lakes Shipwrecks Collection.